A screencast, also known as video screen capture, is a great way for teachers to create and share instructional videos and explanatory step by step tutorials with students. regardless of the purposes for which you are creating a screencast, the quality of your video screen captures can sometimes impede the communicative intent of your message. Therefore, knowing what tools to use to create educational screencasts is as important as the content of the screencasts themselves. To this end, we have curated for you this collection of some of the best screen casting tools out there. We have divided them into four major categories: Mac apps, web tools, Chromebook apps, iPad apps, and Android apps. ScreencastO--Matic is a wonderful web tool to use for recording your computer screen. I have been using it for a couple of years and I really love it. 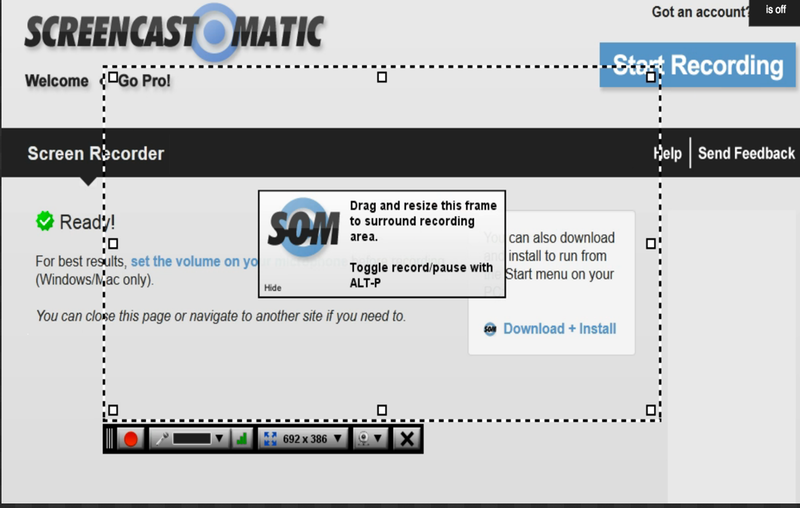 ScreencastO--Matic is web based so you do not need to install anything. The recording you create can be easily uploaded to your YouTube account, Vimeo, or several other social media websites. 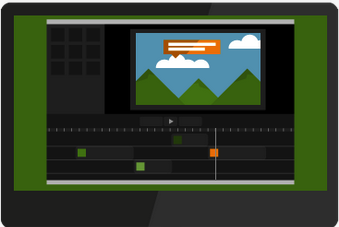 Camtasia from TechSmith allows you to easily record your screen movements and actions and create step by step screencasts to share with others.Camtasia has all the editing tools to create the great video content you need to get the job done. Quickly record your webcam or screen, engage your viewers with a variety of effects, and easily share your videos to anyone, anywhere. 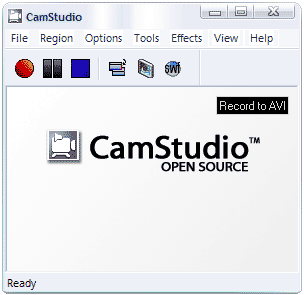 CamStudio is another good web tool for recording screen and audio activity on your computer and create video files to share with your colleagues. Screencastify is a simple video screen capture software (aka. 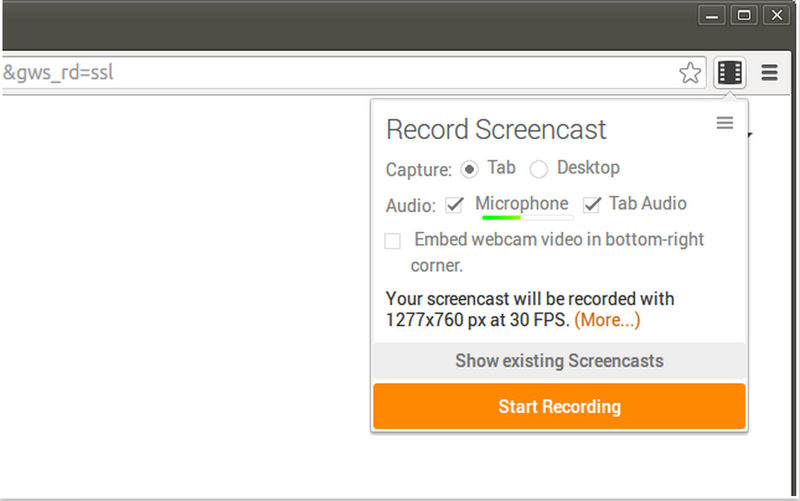 screencast recorder) for Chrome. It is able to record all screen activity inside a tab, including audio. Just press record and the content of your tab is recorded. So you can easily create a screencast for video tutorials, record presentations etc. This is another great way to record your screen. 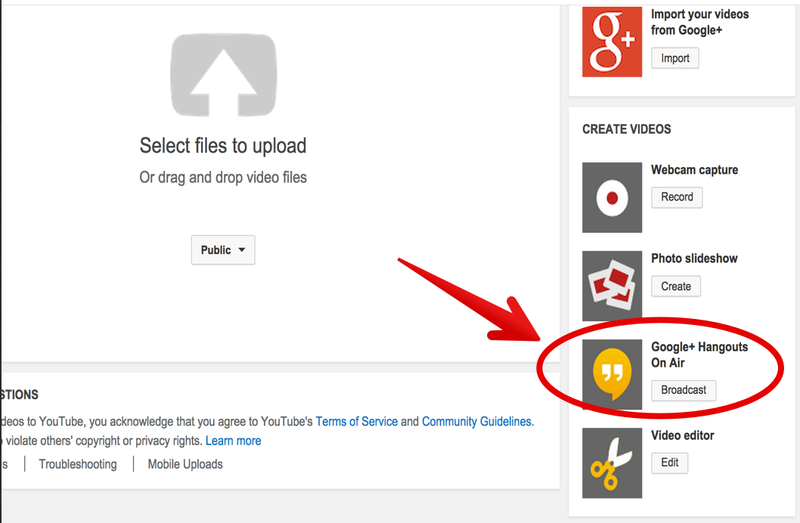 The recording you make is automatically saved to your YouTube channel where you can share it with others. Here is a step by step guide on how to record your screen using Hangout. For Chromebook users, we particularly recommend two apps for recording screencasts: the first one is Screencastify mentioned above and the second one is Snagit. 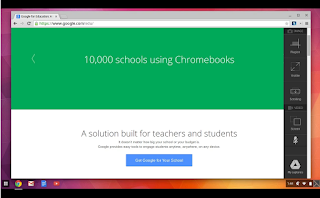 The Snagit for Google Chrome Extension makes it possible for you to capture screenshots and screen video recordings within your Chrome browser. Using TechSmith Snagit for Google Chrome, you can quickly capture and save whatever you see on your computer screen. 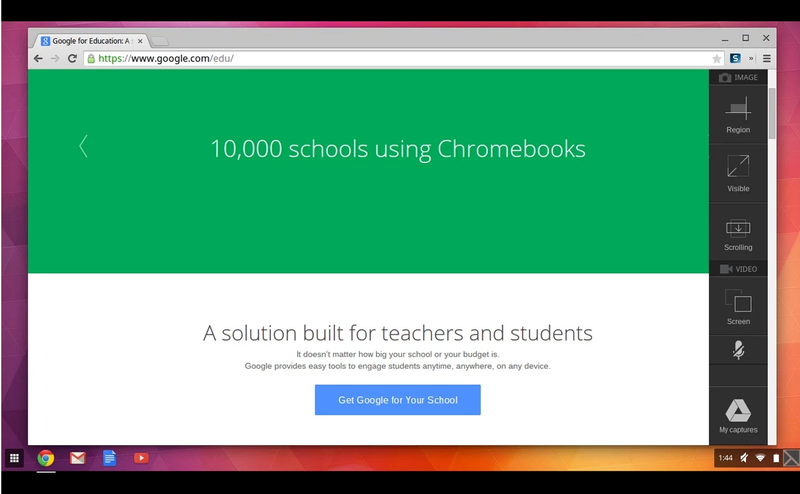 To use Snagit extension you will need to install with it Snagit for Chrome app. Jonathan has also a very good article with more illustrations on how to use Snagit. 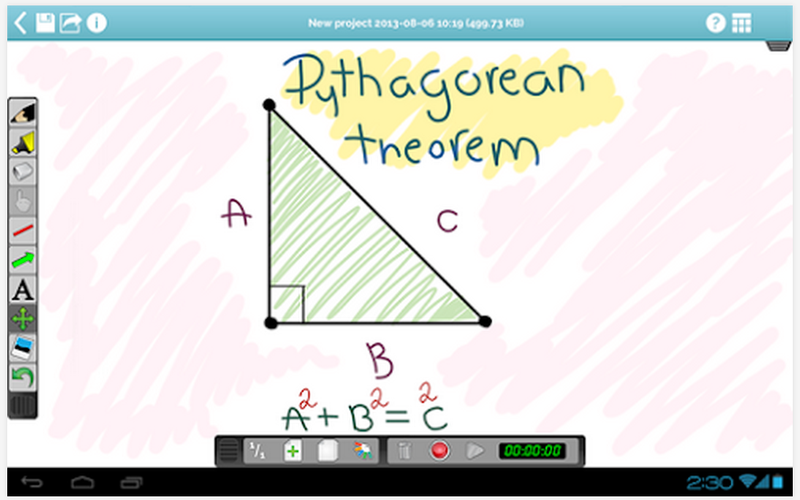 Knowmia Teach is a new free lesson planning and recording tool for teachers. It helps you create short video lessons on any subject and publish them on Knowmia.com so your students and the public can find them. Knowmia Teach makes it easy to bring in visual aids from multiple sources, organize them in steps (like slides in a presentation) and use your own voice and fingers to bring your lesson to life. Educreations turns your iPad into a recordable whiteboard. Creating a great video tutorial is as simple as touching, tapping and talking. Explain a math formula... 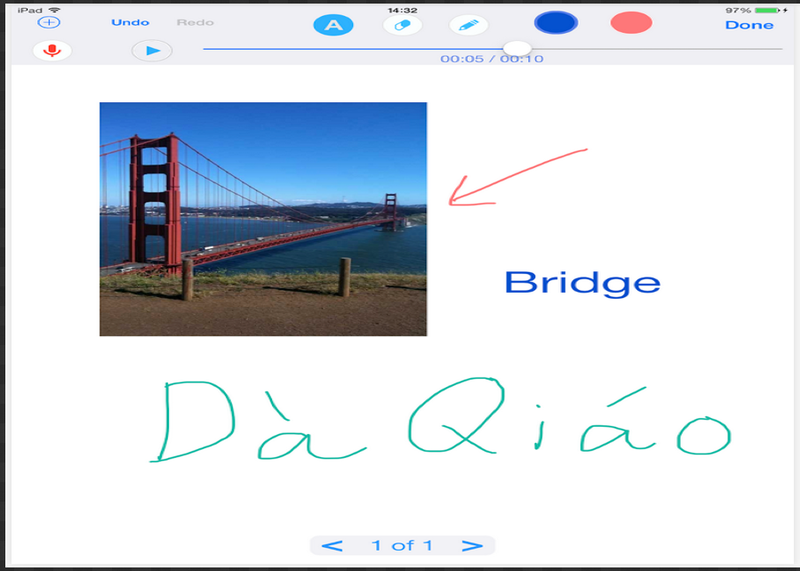 Create an animated lesson... Add commentary to your photos... 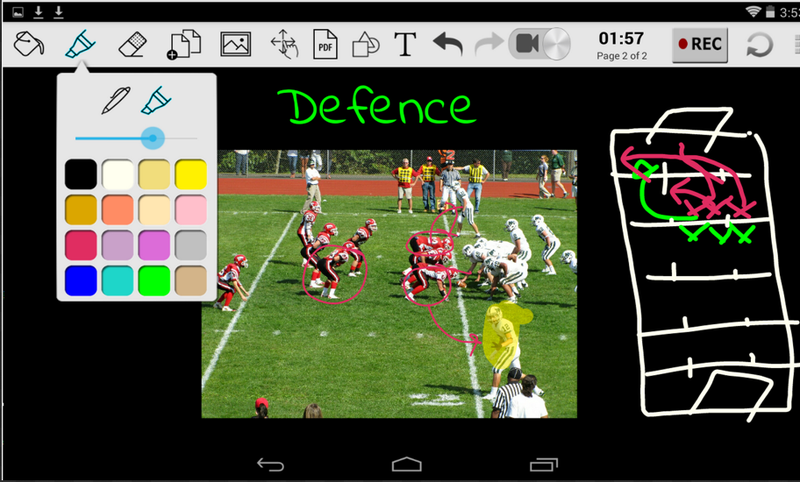 Diagram a sports play..
UTGreat is similar to Educreations on iPad. It provides you with an interactive whiteboard to created and record videos and illustrations.It supports text, images, and video conferencing. It is ideal for creating annotated narrations to share with students. AniMoby allows users to create presentations on their tablet using an advanced interactive whiteboard, sound recording capabilities, and a variety of design tools (paint, photo and text insertion, draw, highlight, etc.). AniMoby is part of the EdTech, e-learning revolution that is changing and improving age-old methods of education. The app is designed for educators, as teachers can create lessons with the app on their tablets, and then send these lessons to students. Students can view these lessons anytime, anywhere on any computer or mobile device with internet connection. This provides assistance to teachers who would like to supplement classroom lessons or reiterate information covered in class. This makes the app a perfect tool for class flipping practices.